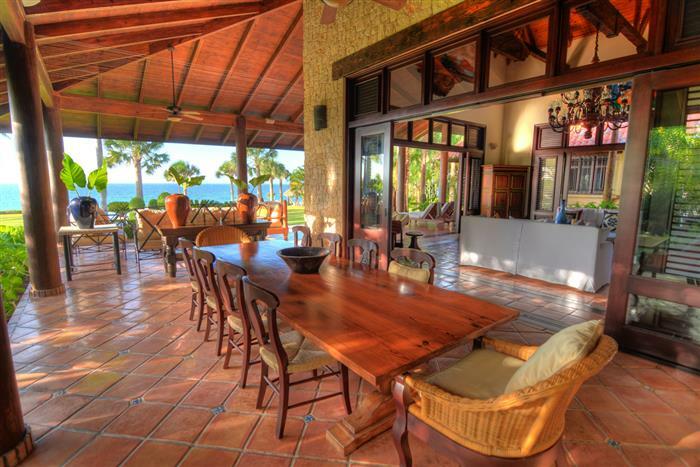 This spectacular property screams the popular Latin/Caribbean word, tranquilo; freedom from emotional anxiety. 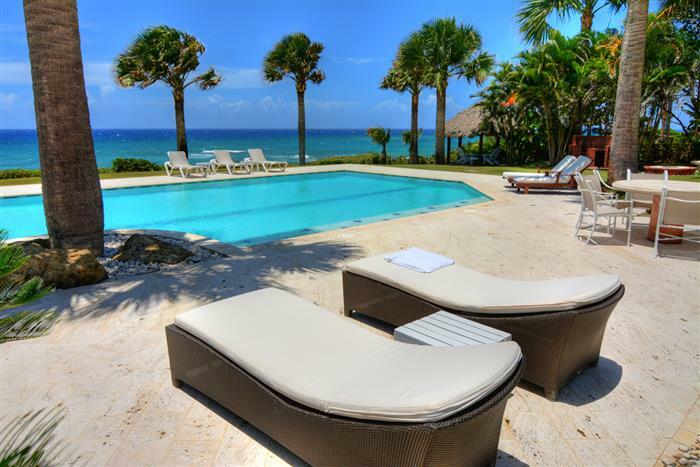 Everyone knows how inspiring the ocean is, but this villa has one of the most idyllic spots to just sit and watch the ocean! See picture of bench even though a picture cannot do this spot justice! 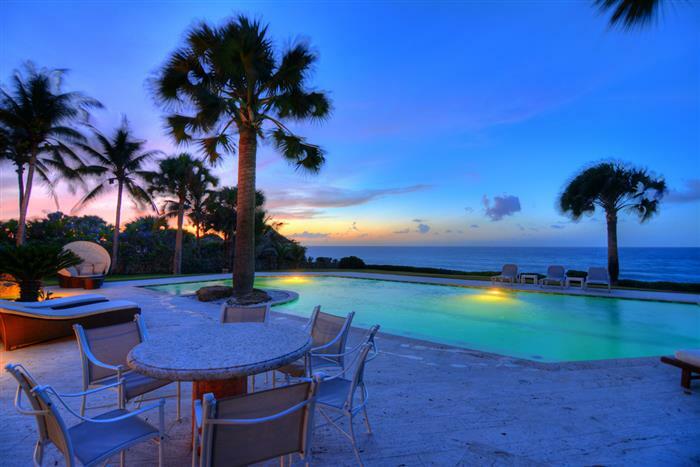 Situated in the prestigious ocean front section of the most exclusive private gated community, this magnificent villa presides on nearly a half acre of ocean front grounds with gorgeous sea views. 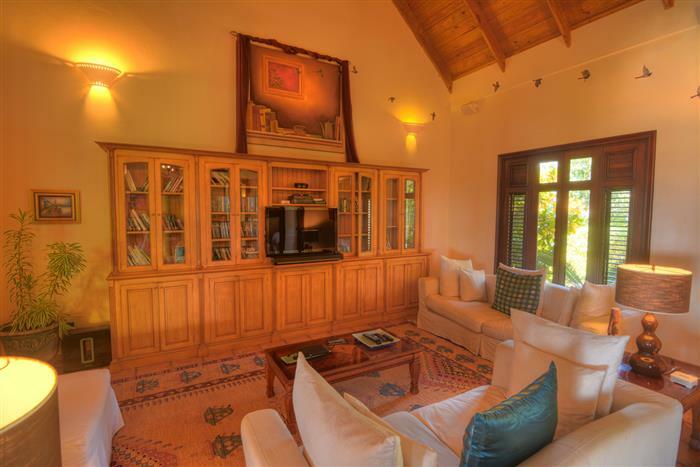 Designed by acclaimed Dominican architect Sergio Escarfullery, it exemplifies gracious Mediterranean style and an atmosphere of old world elegance and charm. 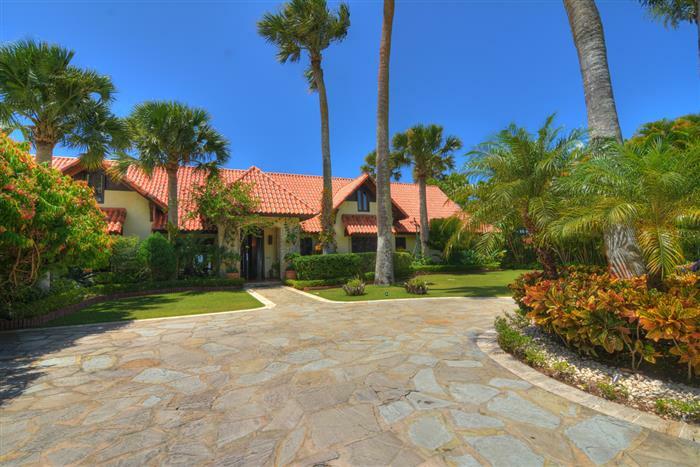 Exquisite craftsmanship with lavish appointments in Mexican terracotta tile floors, mahogany woodwork, granite counter tops, stainless kitchen and marble bathrooms. 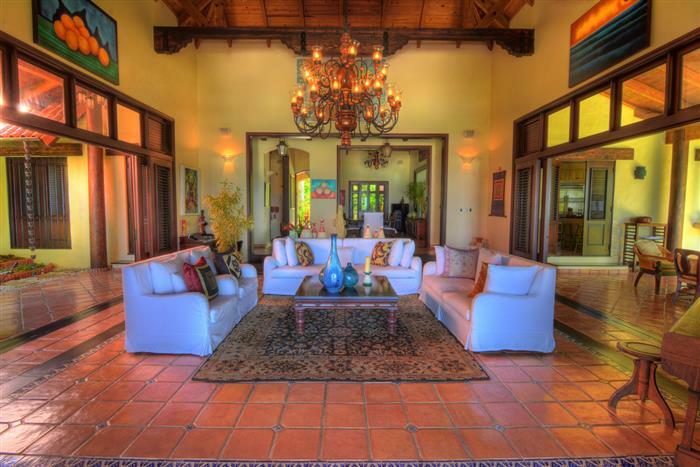 Guests are welcomed in a dramatic foyer to 35 foot beamed ceilings. Just beyond, the elegant living room is graced by an impressive iron chandelier and inviting overstuffed furnishings. 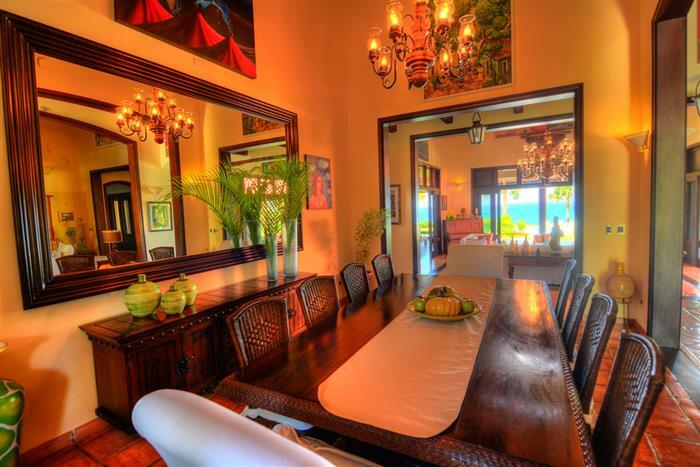 Art lovers will especially appreciate the extensive collection of original art, a small example of the attention to detail for a vacation full of grace and charm. Wireless router for leisurely internet use. 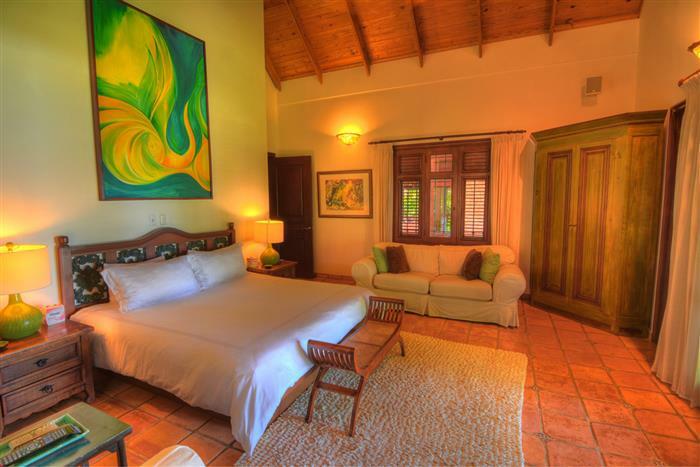 The luxurious master suite is fit for a king and queen with king size bed, ocean views and space to rejuvenate your body and spirit. 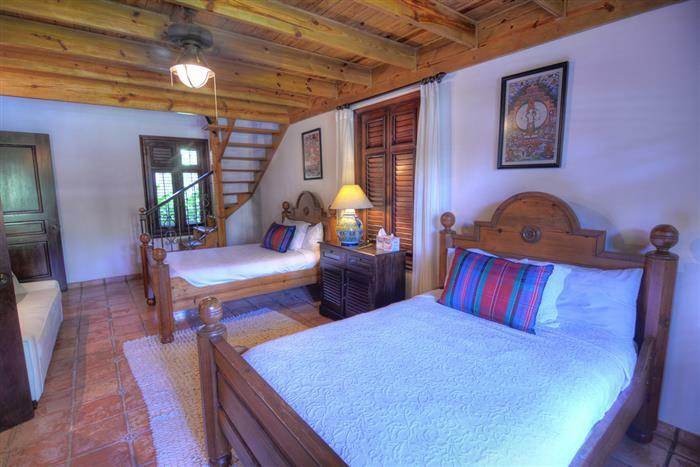 Two of the guest suites include mezzanines to accommodate up to 12 more people, for a total of 2 king beds and 9 queen beds perfect for a family reunion. 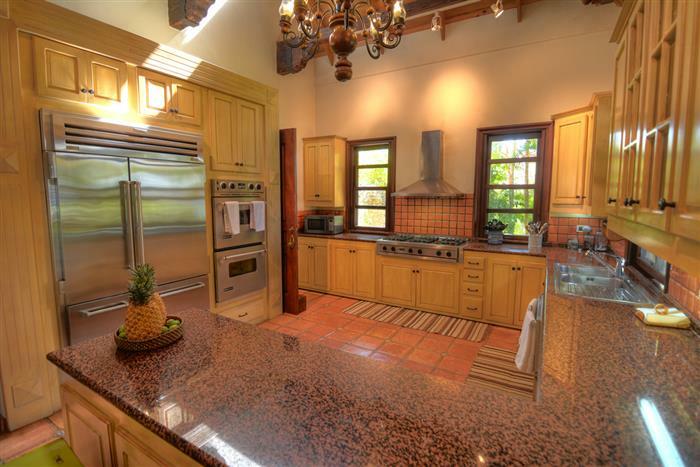 This magnificent estate combines timeless old world design with the appeal of laid back Caribbean living. Extensive tile terraces open alongside manicured shrubbery and flowering plants to a classic lap pool. 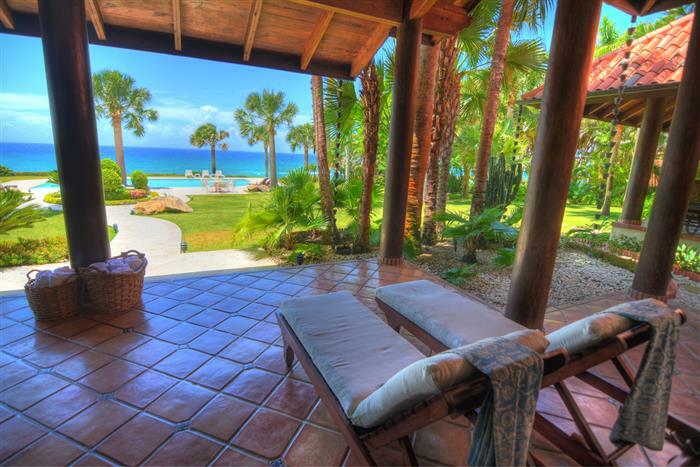 Oceanfront lawn is extremely private and framed by mature tropical plantings. You can even enjoy a 9 hole putting green, sing around a fire pit, relax in a hot tub or create culinary master pieces on the BBQ! The options are endless! 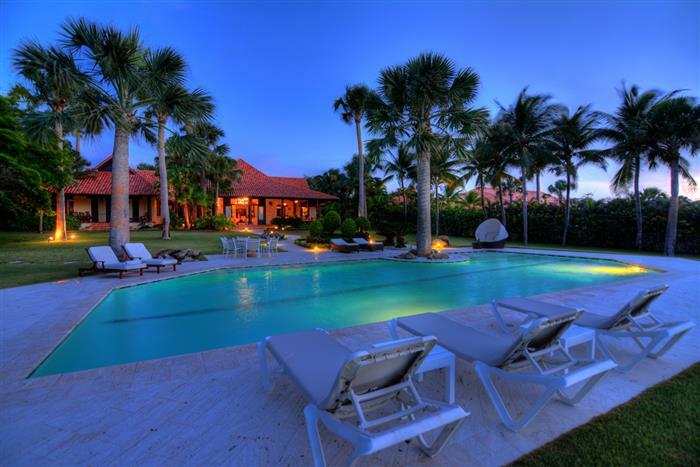 Onsite amenities in this gated community include a complete horse ranch, a tennis club, water front restaurant and ocean front pools. 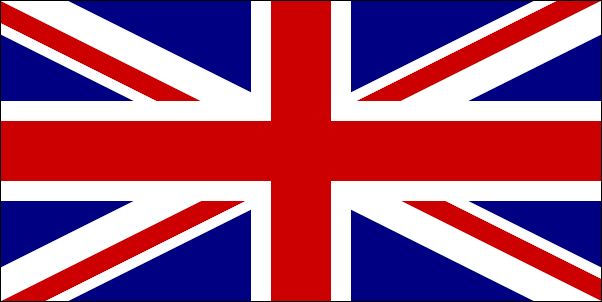 Please complete the request box for more details about this unique property and Dominican Republic real estate in general.